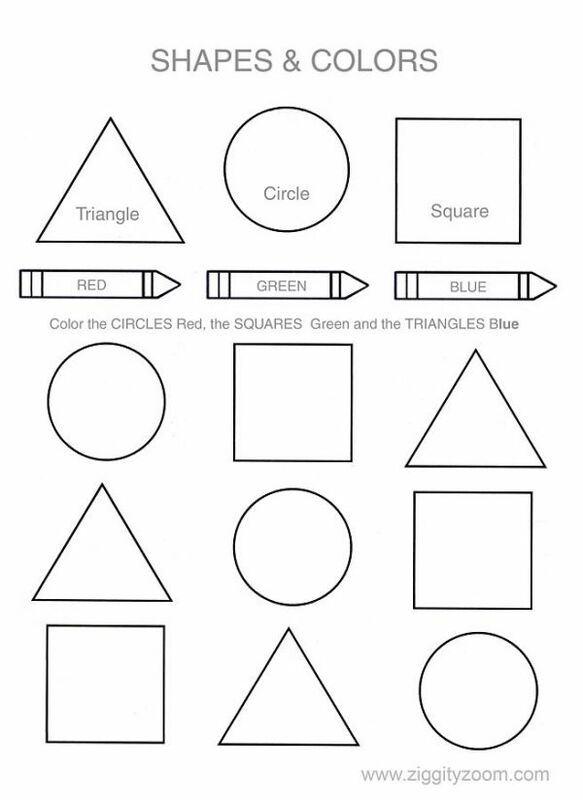 Printable Shapes and Colors worksheet for preschool and kindergarten. Click the image above or the link below to open the printable pdf. Please do a print preview and only print the worksheet itself (usually page 2), as page 1 and 3 are only instructions or the website url.